Are you looking for a nice 32 inch LED TV for your home or office? Well, we have gone through plenty of LED TVs to come up with a list of 11 best 32 inch LED TVs available in India as of February 2019. All latest TVs launched in 2018 and 2019 are listed. Display resolution of most LED TVs on this list is HD ready. We have selected the best 32 inch TVs from top brands like LG, Samsung, VU, Kodak, Micromax etc. The price of LED TVs on this list varies from Rs. 12000 to Rs. 25000. So if you are looking for a LED TV under 15000 or 20000 or 25000, you will find it here. You will see that the LED TVs below Rs. 20000 on this list are non-smart and LED TVs above Rs. 20000 are Smart LED TVs. With smart LED TVs you can play videos and movies directly by connecting your TV to the internet. If you don't want a smart LED TV then also you can stream content from the internet using Google Chromecast or Amazon Firestick. Firestick is our favorite. See Firestick on Amazon. Let's take a look at the brief review, pros cons and specs of top 11 best 32 inch LED TVs in India. This is a 32 inch Smart LED TV from Thomson and is priced very aggressively. The 32-inch display on the front has HD resolution. The brightness of the display is really good and pictures look nice and sharp with good color reproduction. The sound output from the dual speakers is 20W. For small to medium sized rooms, the speakers are good enough. The audio experience can be improved by utilizing the 5-sound Mode for rich audio. Thomson has added plenty of ports(3 HDMI, 2 USB) on this tv to connect devices like set-top box, pendrive, laptop, gaming console etc. As it is a Smart TV, WIFI option is also there. Apps like Netflix, YouTube are there for streaming videos and movies. Plus, social networking apps like Facebook are also preinstalled. If you need more apps, there is an App store for that. Using apps and switching between them is quick in most cases. 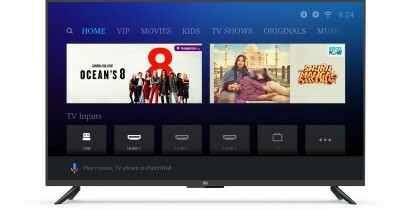 The My Wall interface of this TV is well designed, looks good and is easy to use. 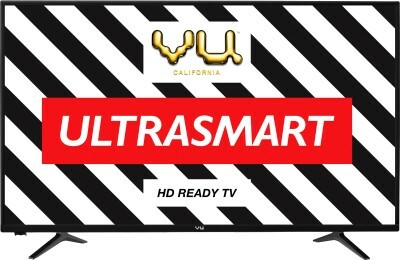 At this price of under 15000, we think this is an excellent smart tv. This TV has been getting a good response from users, it is rated 4.3/5 stars on Flipkart by more than 100000 users. LG LED TVs are little expensive but have great quality. Plus LG has great after sales service network as well. This LED TV from LG comes with a display size of 32 inches and a resolution of HD 1366 x768p. The display panel quality is great and one of the best you will see. The colors look rich and sharp with good saturation and contrast. The brightness levels are great and pictures look good even at sharp angles. The LED TV has a Color Master Engine which not only enhances colors, but also adjusts color saturation, hue, and luminance. The audio output of the TV is great as well. It delivers 20W sound output and supports Dolby digital plus and DTS. The LED tv has built in games so if you have kids they are going to love it.The TV also has modes like Bollywood mode and Cricket mode which helps to enhance the overall experience by adjusting picture and sound settings. 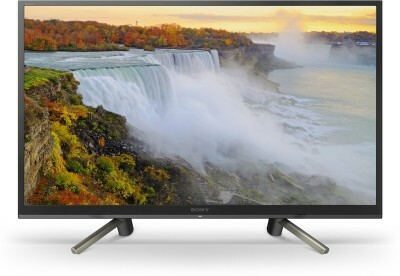 If budget is not an issue and you need the best 32 inch LED TV, then this is the one for you. It will cost you around Rs. 20000. BPL disappeared for a while and came back with a range of well build LED TVs at affordable prices. Now they have a good range of LED TVs from around Rs. 10000 to 50000. 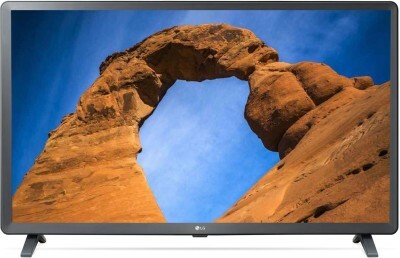 This LED TV from BPL is priced around Rs. 10000 and offers a 32 inch display panel. The quality of the display panel is great with rich colors and decent contrast levels. The viewing angles are good as well. The resolution is HD 1366x768p which is usual for LED TVs in this price range. For sound, there are dual speakers which deliver a combined sound output of 16W. The sound is loud and clear and most users won't feel the need of adding external speakers. On ports side, you get 2 USB ports and 2 HDMI ports for connecting external devices. BPL Vivid is a great option for those who need a 32 inch LED TV under 10000. Micromax is an Indian brand and has slowly and steadily cemented its position in LED TV after smartphone. This can be seen from the 14000+ ratings on this led tv with an average rating of 4.2. This 32 inches LED from Micromax is well built and offers good display. It has HD resolution of 1366 x 768 pixels which offers good viewing experience for the price range. It has 2 speakers with 20W output that produce decent output. Micromax 32 inch LED TV has 2 HDMI and 2 USB ports, through which you can connect with a laptop, USB and can even convert your TV into smart TV using Google Chromecast. Overall, a decent led tv between 10000 and 15000. Kodak is a new brand in LED TVs but they are doing very well. This 32 inch LED TV is great value for money with no shortcomings. The 32-inch display is vibrant and color accurate. The contrast levels are good and viewing angles are great. The sound output from dual speakers is 20W which is loud and clear and you won't feel the need to add external speakers to it. The LED TV comes with Dynamic Display with 64-bit Motion Estimation & Motion Compensation chip which improves your viewing experience by making action-packed, fast-paced scenes seamless. 2 USB and 2 HDMI ports are available on this led tv to connect external hardware like pen drive, laptop, firestick or chromecast to stream videos, movies. With great performance, It is clearly one of the best-LED TVs under 10000. So this was our article on 11 best 32 inch LED TVs in India 2018-2019. We hope it was helpful for our users. Now, let's take a look at our favorites.